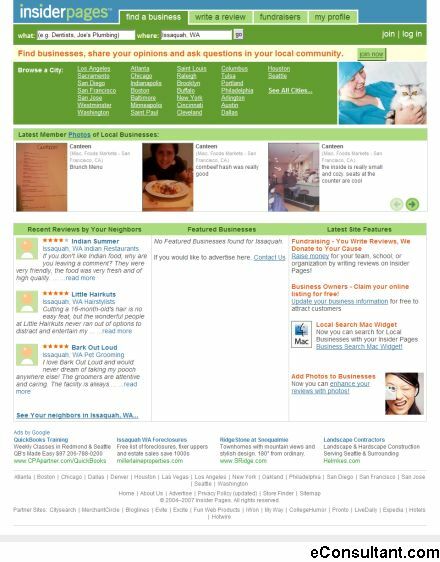 Description : At InsiderPages.com people share reviews of local businesses and find great services they can trust. InsiderPages now have over 600,000 customer reviews from across the U.S. and over one million people visit the site each month to get the Insider scoop on local businesses. InsiderPages also helping thousands of small businesses find new customers over the Internet.